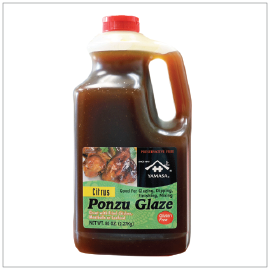 Sweet and tangy citrus flavored gluten free glaze makes any dish enticing with just one easy step. This pre-thickened glaze is great as dipping sauce and marinade. Corn Syrup, Water, Gluten Free Soy Sauce (Water, Soybeans, Salt), Sugar, Vinegar, Modified Starch, Soybean Paste, Orange Juice Concentrate, Salt, Citric Acid, Yeast Extract, Xantan Gum, Natural Flavor, Onion, Lime Juice Concentrate, Garlic, Ginger, Cayenne Pepper. 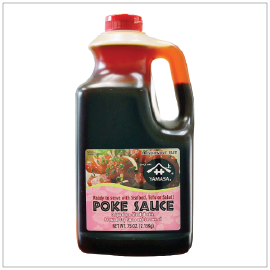 Make delicious and flavor Poke in minutes! Also makes for a tasty salad dressing base.